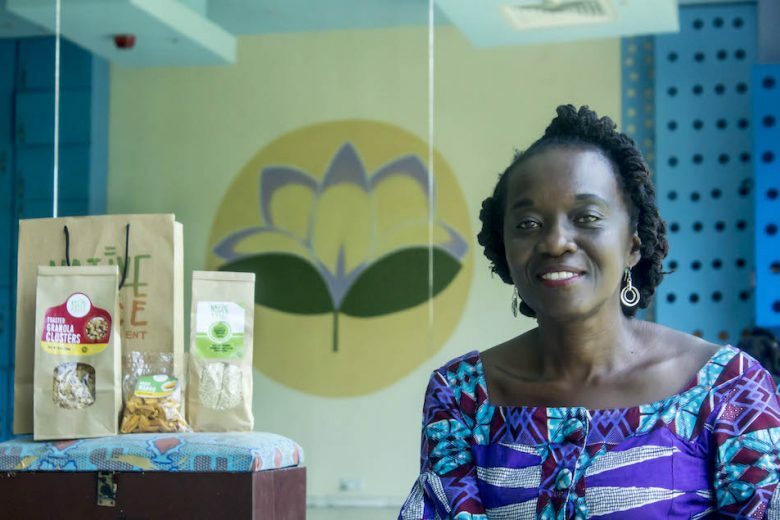 When former PA Rosina Roberts-Mensah moved home to her native Ghana, she saw a gap in the healthy food market, so launched her own business, Native Juice. Find out how she moved from idea to products, and how she deals with copycat businesses. I worked for almost 17 years as Personal Assistant to in a Legal 500 law firm in London, UK, five years of which was as the PA to the CEO of that practice. It didn’t change much as I had a very supportive family as well as a great childminder. It came from my personal lifestyle and seeing a gap in the market at the time I started the business. I saw the healthy lifestyle business growing rapidly in the UK, which is where I grew up. When I relocated to Ghana, I saw a huge gap for the things I liked to eat which were not readily available. Moving from idea to actual business takes courage, more courage than you can imagine. Once I decided that this was what I wanted to do, I had to get some money to get started. There is never a right moment to start a business and the longer you procrastinate, you may give up, so I just jumped right in and asked family and friends for funds. From the onset, I had decided not to go for a bank loan, not initially anyway. There will come a time when you will need that bank loan or overdraft. I approached an acquaintance with my idea together with a business plan. Whoever you ask for money for a business, I believe you must go armed with a business plan and projections. This way, they can see how committed you are to your business idea and that you will also take good care of their investment and that you will repay them back with interest. Quality products at affordable and competitive prices. In addition to staple items, we also stock hard to find products. We keep prices competitive by bulk purchasing and branding. Well trained staff and being well stocked. People who want to take their health and wellbeing seriously by deciding to make lifestyle changes. This is a LIFESTYLE and not a fad. By social media, and our customers doing the advertising for us by spreading the word. We also participate in strategic pop up events. Running a successful competition on social media and growing the business organically. The biggest obstacle was doing the business alone. Partnerships can be advantageous and they can also cause a lot of heart and headaches. But in the long run, I am doing the business alone and have employed and trained staff who complement me. I also have business advisers I can go to. I also read a lot and listen to other business owners who have gone through what I am going through and that has helped. There are numerous podcasts and TED Talks you can listen to and they are free. Another obstacle was how to deal, not only with competition, but with blatant copy cats. I had people asking me for my packaging, label designs and also products. They wanted to do exactly what I was doing – no creativity. To deal with this, I strive to be steps ahead and at times I have had to change my product line to offer other products that are not easily available here, and to maintain a good stock of popular products. A lot of mistakes were made because I was left with products that didnt sell as well as I had hoped but with time you will get to know what are your best sellers. Be aware of competitors but dont also allow what they are doing to make you lose focus. Be careful not to start copying them, with the notion that because they are making it you too can. If it is not your passion or part of your business plan for growth, then do not do it. BE FOCUSSED. I am not a follower. You can be inspired but be creative with what others are doing. Another obstacle was customers asking for particular products and in order to please, I would stock them only to find that no one else was interested in those products. This goes back to being focussed. You cannot please everyone so stay on your track and as time goes on, you will be able to judge when to introduce new product lines. When customers are happy to see that we are well stocked with items they thought they could not find in Ghana and that they did not need to carry suitcase loads of food when they travel. I get a lot of satisfaction in what I do. People who never gave up even when the situation looked bleak. Thankfully, my children are all grown and have flown the nest so I have time to do what I love. I can give this venture 100% of my time. You have to believe in what you want to do. Be prepared to adjust your plans when certain things are not working out. You can always go back to your original plan with a tweak here and there. Give it 100%. Initially, you must dedicate your time to the venture and then train others to assist, you cannot do it all. Rest, this way you can be more creative. You can learn more about Native Juice on their website.